This new Android handset has a frontal camera with flash, a quad-core processor, 4G LTE connectivity and retails together with a faux-leather smart jacket cover. 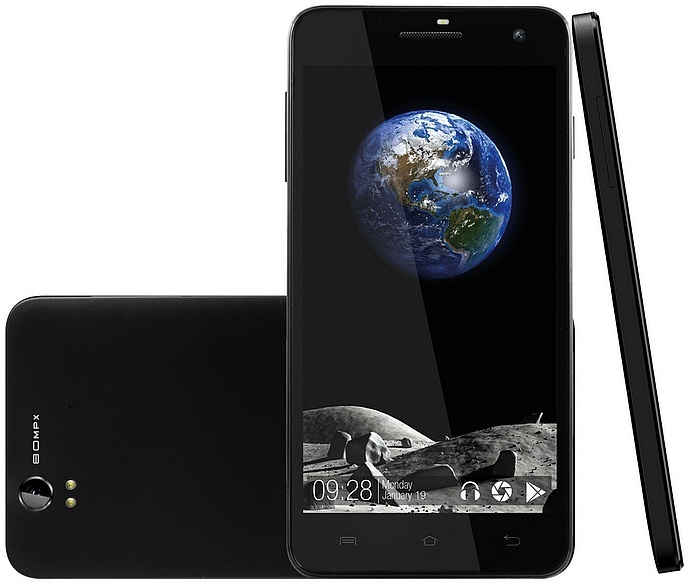 InfoSonics Corporation unleashes today "its first selfie-focused smartphone," namely the verykool s5015 Spark II. This ultra-thin handset comes with a front camera that has LED flash and a pre-loaded app that enables users to take selfies hands-free by simply whistling. This handset comes pre-loaded with Skype and Kingsoft Office next to Google's app suite. The retail package includes a rich selection of accessories: stereo headset, travel charger, micro USB data cable, screen protector, microfiber cloth, and a faux-leather cover. InfoSonics' verykool s5015 Spark II has dual SIM capability and a suggested retail price of $179.90 USD. It is unlocked and works on AT&T and T-Mobile networks, as well as many prepaid platforms and virtual network operators. SAN DIEGO, February 2, 2015 – InfoSonics Corporation (NASDAQ: IFON) announced today the launch of its first selfie-focused verykool® S5015 smartphone. Nicknamed the Spark II, the S5015 features an 8-megapixel high-quality rear camera with dual flash as well as a selfie-friendly 5-megapixel front-facing, auto-focus camera with LED flash. The Spark II is housed within an ultra-thin 8mm streamlined chassis, powered by a 1.3 GHz quad core processor and equipped with Android 4.4 KitKat. 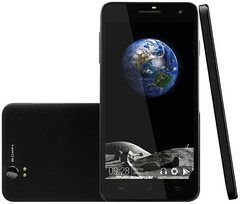 The phone features a 5-inch (1280x720p) HD IPS-LCD display with “one glass solution” and full lamination. Designed to help capture all of life’s special moments, the Spark II’s auto-focus rear camera has a built-in editor and live view while the front-facing camera includes a pre-loaded application that lets users take hands-free selfies thanks to a whistle-detecting camera. InfoSonics is a San Diego-based manufacturer and provider of wireless handsets and related products to carriers, distributors and consumers throughout the U.S. and Latin America under the verykool® brand. InfoSonics is committed to delivering quality products that offer high-end design and impressive functionality at affordable prices. Additional information can be found at www.infosonics.com and www.verykool.net. Except for the factual statements made herein, the information contained in this news release consists of forward-looking statements within the meaning of the Private Securities Litigation Reform Act of 1995 that involve risks, uncertainties and assumptions that are difficult to predict. Words and expressions reflecting optimism, satisfaction or disappointment with current prospects, as well as words such as “believes,” “hopes,” “intends,” “estimates,” “expects,” “projects,” “plans,” “anticipates” and variations thereof, or the use of future tense, identify forward-looking statements, but their absence does not mean that a statement is not forward-looking. Such forward-looking statements are not guarantees of performance and our actual results could differ materially from those contained in such statements. Factors that could cause or contribute to such differences include, without limitation: (1) customer acceptance of the new S5015 handset; (2) our ability to continue to differentiate our products, including the S5015, from the competition; (3) significant changes in supplier terms and relationships or shortages in component or product supply; (4) extended general economic downturn in world markets; (5) inability to secure adequate supply of competitive products on a timely basis and on commercially reasonable terms; (6) inability to attract new sources of profitable business from expansion of products or services or risks associated with entry into new markets, including geographies, products and services; and (7) rapid product improvement and technological changes leading to changes in consumer demand for multimedia wireless handset products and features. Reference is also made to other factors detailed from time to time in our periodic reports filed with the Securities and Exchange Commission. These forward-looking statements speak only as of the date of this release and we undertake no obligation to publicly update any forward-looking statements to reflect new information, events or circumstances after the date of this release. Note: All trademarks and copyrights other than InfoSonics and verykool are property of their respective owners.